Most superheroes wear capes, but in real life, they do not. They come in the form of regular people like Mr Breyton Millford, who does extraordinary things for his community. Millford is an operations manager at Agri-Expo in the Western Cape. He was born in a town called Port Nolloth, a small domestic seaport in the Namaqua region. He has many fond memories of his community, especially their humility. He loves farming with a passion and believes that agriculture is part of his DNA. His first exposure to farming was through his grandfather and family friends. Later on in his life, his uncle started to farm full-time and he used to help on the farm. Millford attended an agricultural school called Augsburg in Clanwilliam, which wasn’t his first choice. However, looking back, he feels that things worked out well. Being one of only a few students of colour posed quite a challenge at first, given cultural differences. Later in his school career, he was elected as part of the student body of the school. This allowed him to make an impact for the learners who elected him, while building his leadership capacity for future roles. During the time he was at Grootfontein College of Agriculture, he received the John Deere award for Best Agricultural Student of the Year, which was a first for a student of colour. This was by far the highlight of his study years and opened many doors for him. He has visited over ten countries around the world and believes that every one is unique. Coming from South Africa with so many negatives, he believes we could learn from a country such as Papua New Guinea. If we look at the challenges they face we will realise that we are in a much better position. Singapore stood out for him due to their efficiency, as well as France, where agriculture is huge – and they embrace it. His experience of and exposure to agriculture in other countries has made him come to understand that if we would like to empower agriculture we need to be up to date and stay abreast with the latest trends. Close to Millford’s heart is the youth; he feels that if we do not educate, empower and inform the youth about the opportunities in agriculture, we are heading for a crisis. He believes the private sector and government should do more by working together more often and making a bigger impact that way. Agri-Expo is a good example. ‘Considering the challenges faced by young people in their quest to become producers, we can definitely be proud of them and how innovative they are,’ he said. He says he is encouraged by the number of children (more than 2 000 per year) taking part in agricultural competitions. During these competitions, the seed is planted for children to become aware of the opportunities agriculture holds. Looking at the number of participants who study agriculture after school, we are definitely making a difference. Millford stated that even after he had won an award for addressing the shortage of agricultural teachers in the Western Cape, it remained a challenge. Although some of them are the best in the country, there are only three agricultural schools and one college in the province. Millford is the chairperson of the National Agricultural Youth Association, whose primary role is to encourage the youth to get involved in agriculture through youth shows. Youth shows have grown tremendously over the past few years. Manuals and information of the highest quality are generated this way. This cultivates an affinity for agriculture in learners and helps them to learn a variety of skills – and encourages entrepreneurship. Agri-Expo is a dynamic and unique organisation. It is the oldest agricultural society in South Africa. They have a dynamic team and when they handle an event, they do it in such a way that the agricultural sector can be proud of it. He is a part-time farmer, but does not own a farm. However, he raises cattle for an additional income – it is actually more of a ‘break away’ when the corporate life gets a bit tough. A colleague describes him as someone who has restored her faith in humanity. His response to this is that he always tries to see the positive things in life (obviously always being realistic). 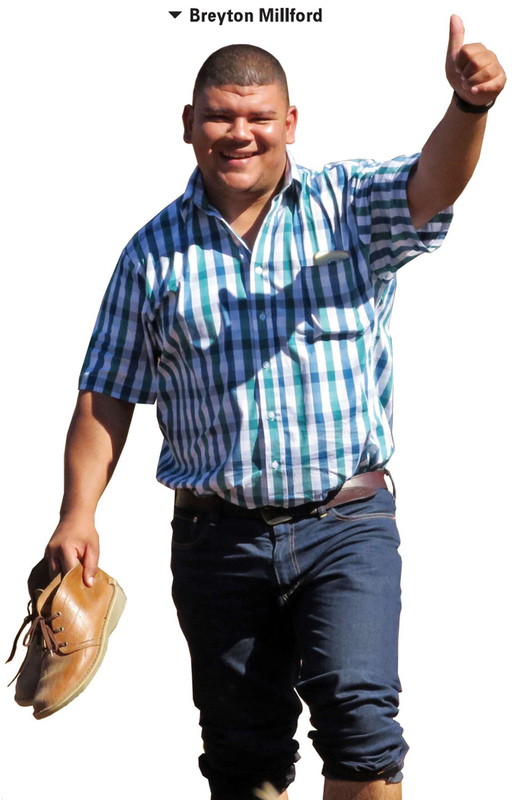 He believes ‘as jy jou eenkant hou, sal jy eenkant bly’ and always tries to bring people together – whether it is black or white, agricultural producers or public, young or old. He believes that there is always hope and that by accepting others, you can make them and yourself stronger.